Well, the Bad Robot mystery box is back at it again. 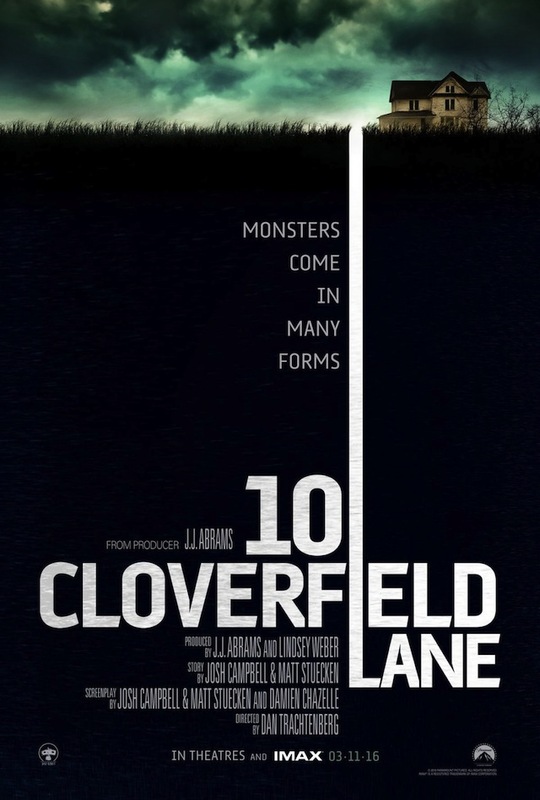 There’s been talk of a secretive Cloverfield tie-in coming for some time, but we just got a new trailer, poster, and imminent release date for the project, apparently called 10 Cloverfield Lane (it was earlier known by the title Valencia). Who knows how this connects to the found footage monster movie, or if that’s just a tease, but this first look is something I’m totally into. This video is more about tension, mood, and atmosphere than it is about revealing any details, but it looks like a tight, self-contained thriller that is sure to have its fair share of twists and turns along the way. After a car accident, a young woman (Mary Elizabeth Winstead, who really needs to be in more movies) wakes up in what looks like a bomb shelter and fears she was abducted. Her captor (John Goodman, who also needs to be in more movies) is a doomsday prepper and tells her a chemical attack has rendered the outside world hostile and uninhabitable. This is essentially the plot of Netflix’s Unbreakable Kimmy Schmidt, but not funny. She, of course, doesn’t believe him and tries to escape. So what’s outside? Is this an origin story of the Cloverfield monster? Did he grow up in this neighborhood? Was there really a chemical attack? An alien invasion? Is Goodman just a nutter? Is there actually any connection to the earlier movie, or is this just a tease designed to cause speculation? Who knows at this point, but I don’t really care, because this trailer looks like a damn fine time. 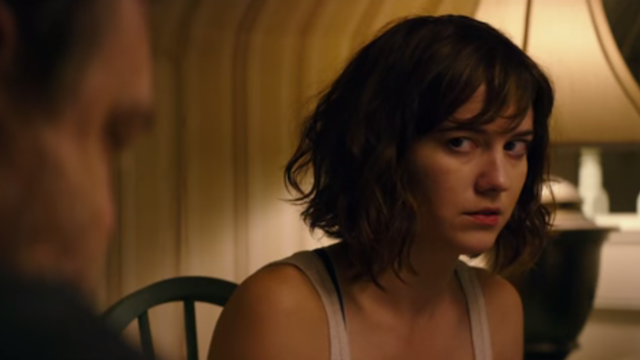 10 Cloverfield Lane also has a crazy creative team, directed by up-and-comer Dan Trachtenberg, produced by J.J.Abrams, and with a writing credit going to Whiplash director Damien Chazelle. That’s certainly enough to pique our interest, and we don’t have too long to wait as this hits theaters on March 11. Check out the trailer and poster below.